Now that it’s starting to heat up, it’s time to start seriously planning cool looks for summer. And luckily, we’ve got you covered. Enter: the button-up shirt, the most versatile shirt of the season. It’ll be your cool, bold, go-anywhere do-anything best friend that you didn’t even know you needed. Here, we take you through four different ways to style our fave shirt of the season. The Pattern Shirt in Hipster: This shirt is covered in our cool seasonal patterns that features some of his favorite things – skateboards, sunglasses, music, and of course, pizza. 100% cotton. 100% rad. The Pattern Shirt in Pina: For the guys who love to be the life of the party. This lightweight cotton shirt features a bold neon pineapple print. Psst – we even have a matching dress for a ‘his and hers’ look. Get the whole squad in this fabric to make a HUGE entrance at your next party. The Benson Shirt in Grey Linen Plaid: If you’re looking for a more polished look, go no further than this cool muted fabric. Cool front pocket, classic pattern – perfect for dressing up! The Benson Shirt in Carnival Plaid: It’s the coolest party shirt out. Bold, bright, breathable. Yup. The Benson shirt in Blue Bike Plaid: This has been a fan favorite this season; it’s the perfect mix of style and fun. Collar, buttons and pockets, but with tiny little bikes all over it. Brrring brrrring! The simplest look – this shirt speaks for itself, so can buttoned up with shorts for a laid-back, chilled-out look. 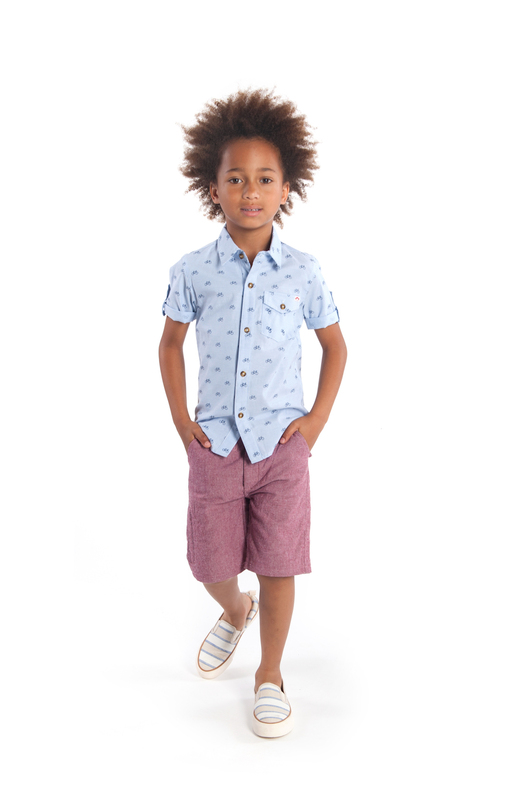 Here we have put the Benson Shirt with our Coastal Shorts, however the shirt works back with any denim or casual short. Throw on a pair of sneakers or slides and you’ll be cool as a cucumber (both temperature-wise, and style-wise). When you wanna show off the tee but wanna wear the shirt as well…why not just wear both? Our collections are designed so you can mix and match tees and shirts for a really cool, laid-back look. 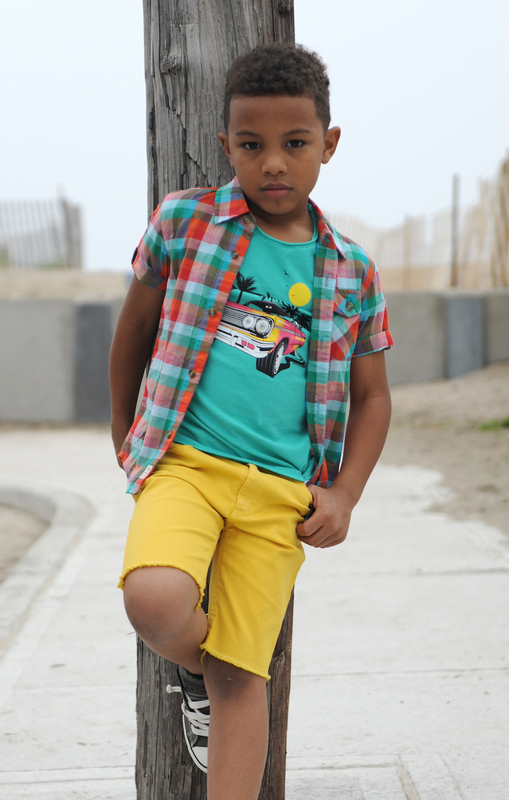 Here, we’ve teamed the Benson Shirt with our Lowrider Tee for a really fun, bold mix of colors. To go all out, team with a bold short or even just classic denim. One of the most baffling dress codes is ‘Smart Casual’ – because it’s literally two opposite dress codes in one. Do you wear a bow tie with a t-shirt? Tuxedo pants with a tank top? Pajamas with dress shoes? Luckily, we’ve made the distinction super easy for you. The button-up shirt is the ULTIMATE in smart-casual. It has the formality of a dress shirt with the buttons and collar, but the ease of a casual shirt with the short sleeves and bold pattern. Here, we’ve teamed the Burger Pattern Shirt with our Beach Pant and Paperboy Hat. Here it is – the ‘wow’ factor. Team any of the Pattern Shirts with pants and a blazer and you have got the ultimate dressed-up look. 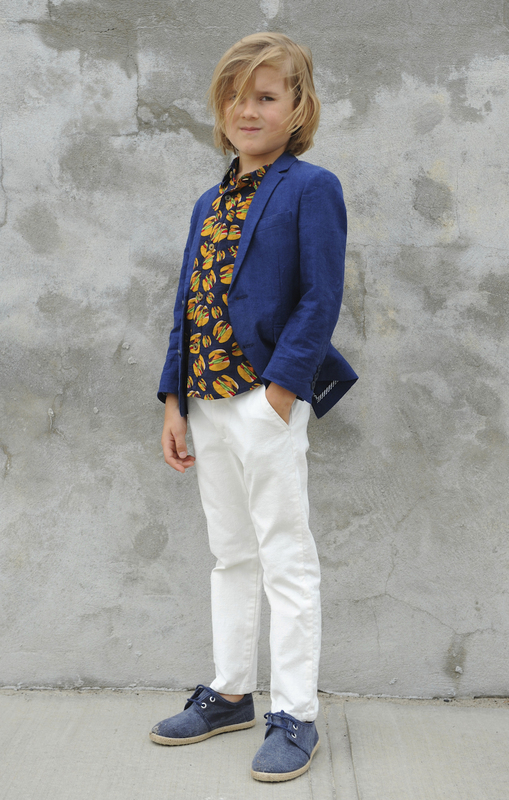 The blazer gives the look structure while the shirt provides a fun, bold pop of color. Hot tip: cuff your pants and wear with chukkas, or keep it smart with dress shoes. There you have it – you’re set for summer! Don’t forgot to tag us on Facebook and Instagram in your best #appaman looks for your chance to be featured. Happy stylin’! 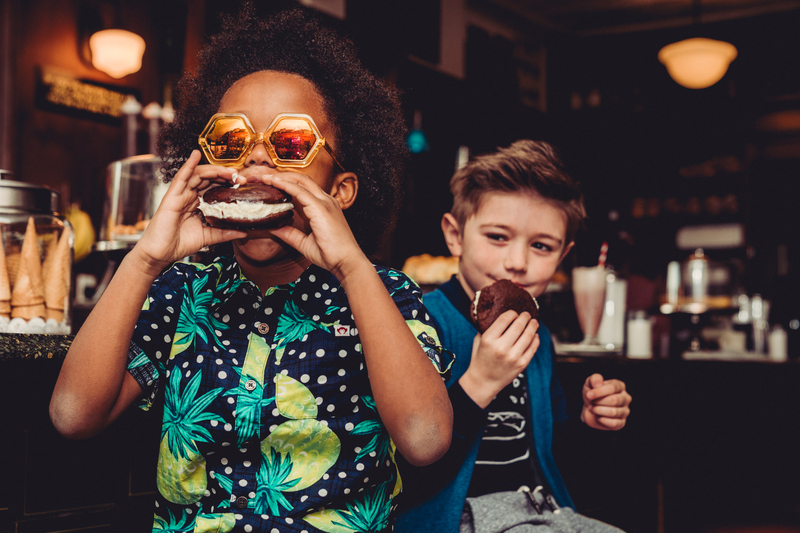 ← APPAMAN x HYPEKIDS Giveaway!